Sometimes I think lunch might just be the hardest meal of the day to plan. 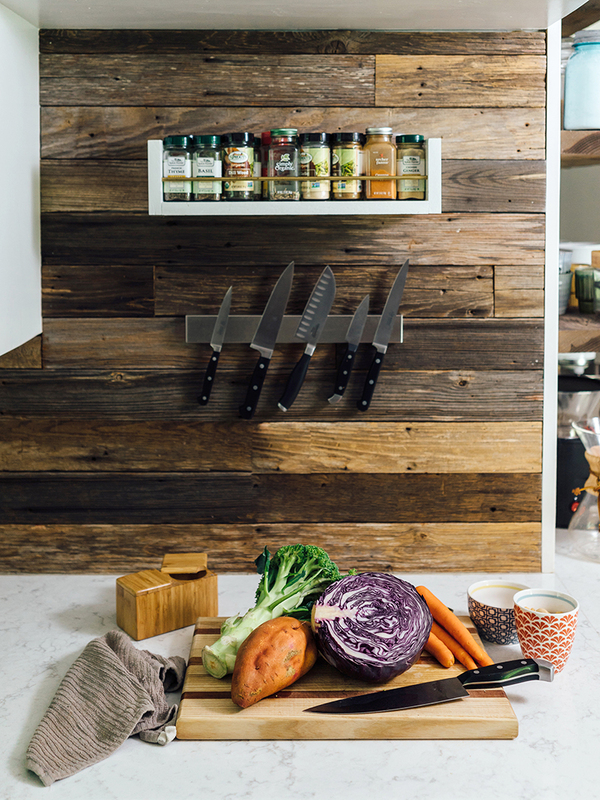 There are endless, effortless options for breakfast. Eggs cook fast and yogurt with granola is a pretty hard to beat combination. When it comes to dinner, you can always toss something in the slow cooker in the morning and know that you’ll come home to the aroma of a dinner already made by the evening, but lunch is a bit of a conundrum for me. I never want to use up too much precious work time with prepping something mid-day and it’s the one meal I always forget to plan ahead for. 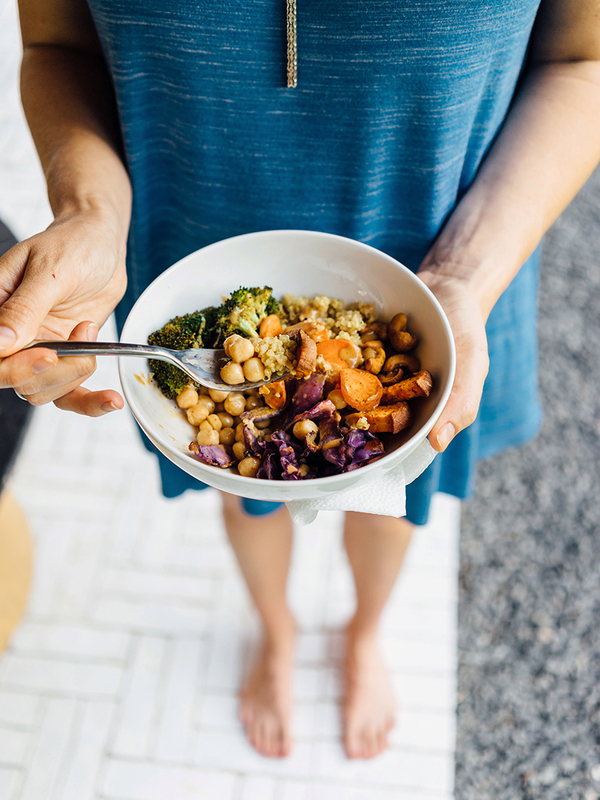 Luckily, Lauren Daniel, our newest contributor, is here for a rescue in the form of the Roasted Vegetable Buddha Bowl! She’s a freelance graphic designer by day and a self-taught home cook by night. After health issues turned her to gluten-free living, she decided to teach herself to adapt recipes she loves and now she’s going to be sharing those with us here, twice a month and I couldn’t be more excited! I’ll let her take it from here for now, but just know that I’ve seen her plans for the coming few posts and we are all in for a delicious treat! When it comes to meal planning, I would consider myself a pretty big nerd. I haven’t always been one of these people, but I’ve learned if you’re on a budget, hate food waste, and don’t want to make frequent visits to the grocery store, it’s essential. I work from home and I think the hardest thing is planning my lunches, dinner is no problem but working from your living room can sometimes encourage eating an entire bag of chips or box of cereal–snacking feels so necessary! Since becoming pregnant, though, I have really made it a goal to eat healthy filling foods for lunch so that I snack on an apple or nuts in the afternoon rather than 4 bowls of cereal. I’m sure many of you have seen a ‘Buddha Bowl’ recipe or two come across your Instagram or Pinterest feeds. These eye-catching meals are trending hard right now and for a good reason. 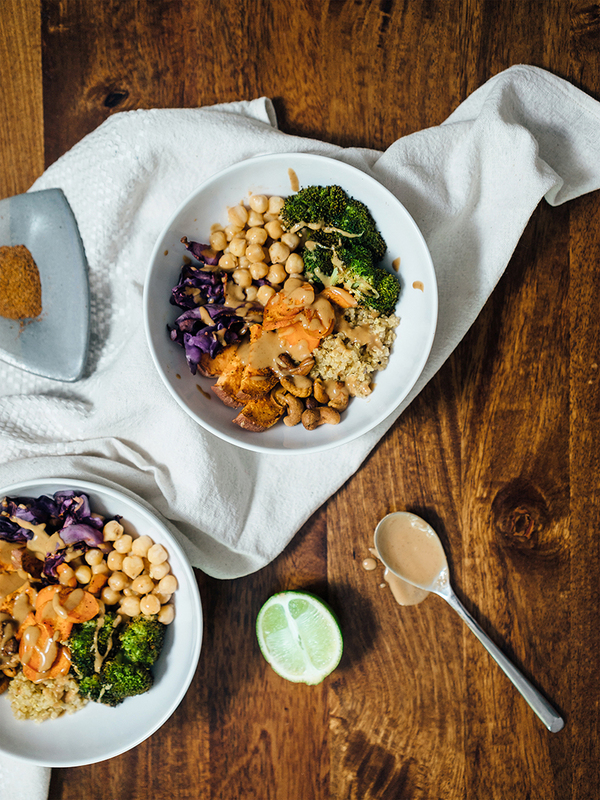 Also known as ‘power bowls’, these babies are overflowing with macronutrients that will keep you energized throughout the day (take that, afternoon slump) and they can be customized to fit your dietary lifestyle, covering everyone from vegans to paleo peeps. They get their name because they resemble the round tummy of Buddha. They are most often loaded with healthy grains like quinoa or brown rice, vegetables from all over the color spectrum, and protein, like tofu, chickpeas or chicken, and finally are topped with nuts, seeds and/or dressing or sauce.There are no strict guidelines when defining a Buddha Bowl—the proteins, vegetables, grains and dressing can vary. Which is why these are such a great option for easy lunch prep for the week, you can customize your bowl to meet whatever you’re craving. I’ve come to love these delicious filling bowls and have created a number of different varieties. Today, I am sharing one of my favorites. 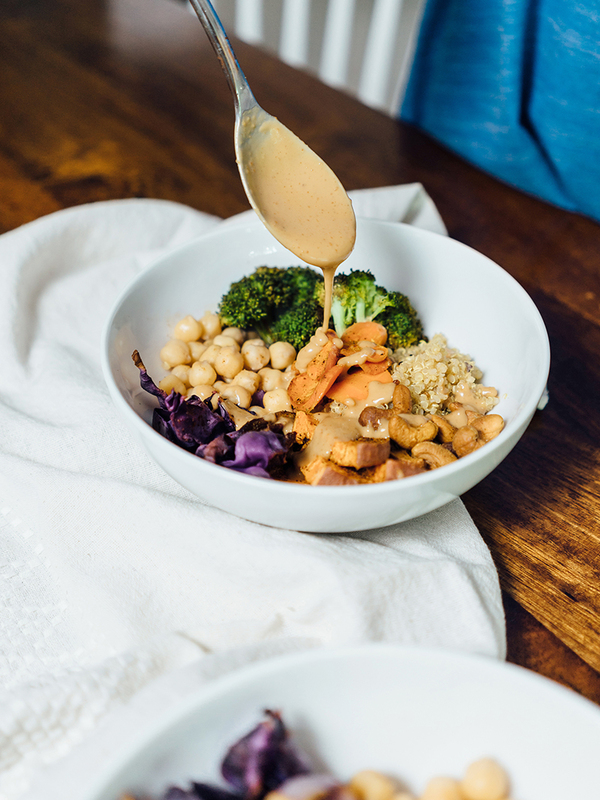 Inspired by Thai flavors, I am obsessed with the crunchy texture of the cashews, rich flavors of the roasted vegetables and the sweet touch of peanut sauce. It’s easy to prepare, store, and will provide you not only a weeks worth of delicious lunches but one that gives you energy and actually keeps you full. Now before you dive in, don’t feel overly attached to this recipe. If you don’t like an ingredient swap it for something you love! Don’t have time to make the sauce? A splash of soy sauce and siracha will do just fine. The chickpeas can be roasted too for some extra crunch and richness. I couldn’t fit them on my pan, so I opted for keeping them as is. Chop all vegetables and place evenly on a lined baking sheet. In a small bowl combine spices and mix until well blended. Evenly sprinkle over the pan of veggies; spice to your liking. If you end up with extra, add this to your quinoa or chickpeas for extra flavor. Place sheet pan in the oven and set the timer for 30 minutes. If your cashews begin to brown, pull them off the sheet early, and allow vegetables to continue cooking. Cook quinoa according to instructions, add salt, pepper and garlic to taste. 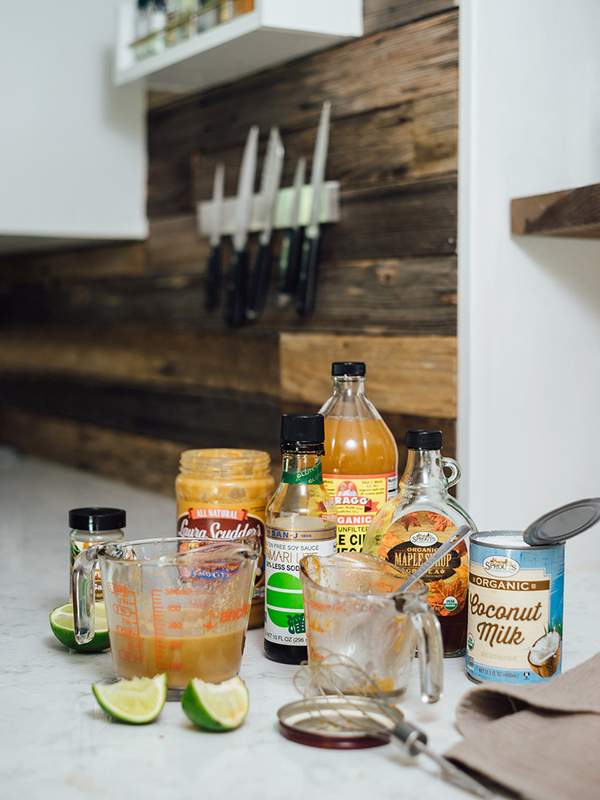 Optional: In a small bowl whisk together peanut sauce ingredients, pour into an airtight container for storage. 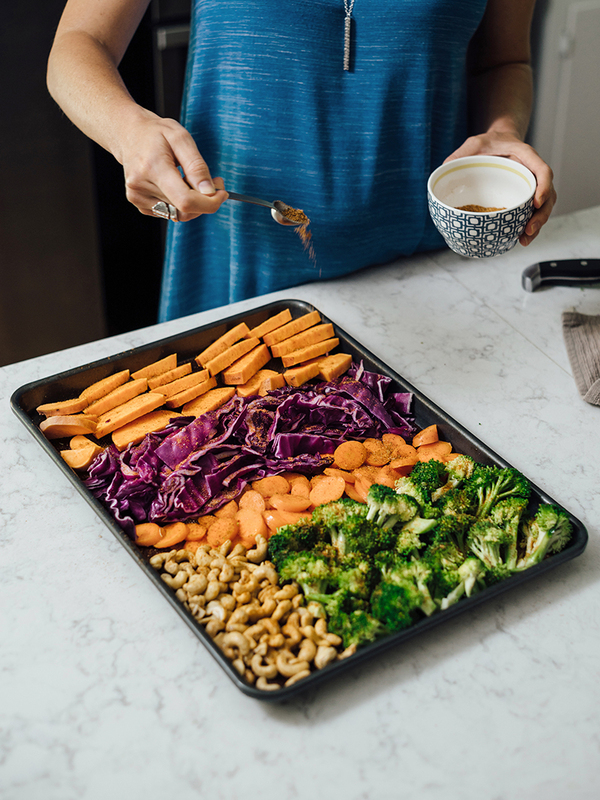 Once vegetables are roasted, allow to cool on the sheet pan. After fully cooled, place in an airtight container and store in the refrigerator for up to 5 days. 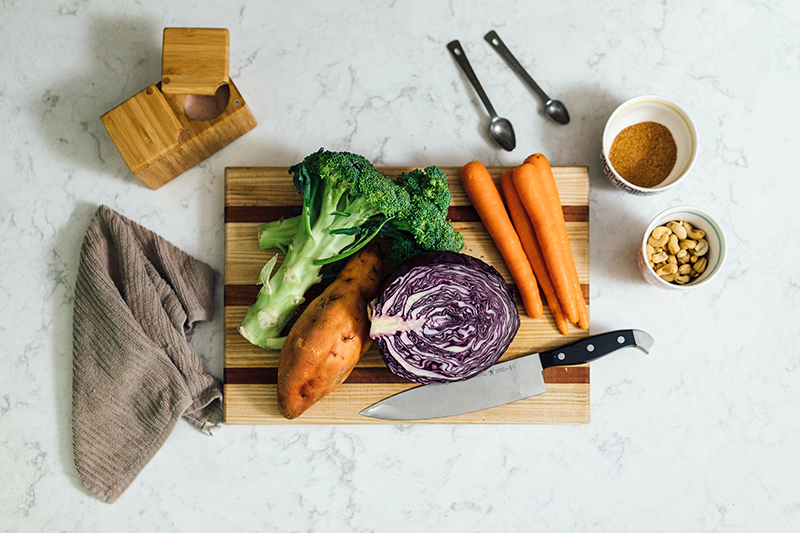 Prepare a Roasted Vegetable Buddha Bowl now whenever the craving hits! 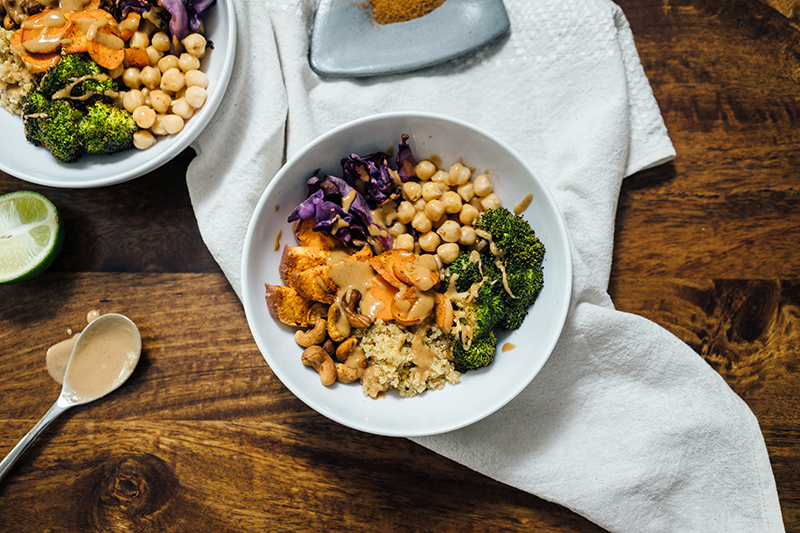 When it comes to the Roasted Vegetable Buddha Bowl, mix it up! Try one of these substitutes. (This is also a good way to add variety if you’re a little tired of the same thing mid-week.) They can be added as a cold ingredient no need to roast: Black beans, Spinach, Edamame, Avocado. Have a need for more protein? Add Chicken, Tofu, or Shrimp. I agree – lunch is DEFINITELY the hardest meal of the week to plan. This looks delicious, and could totally last for several meals throughout the week!